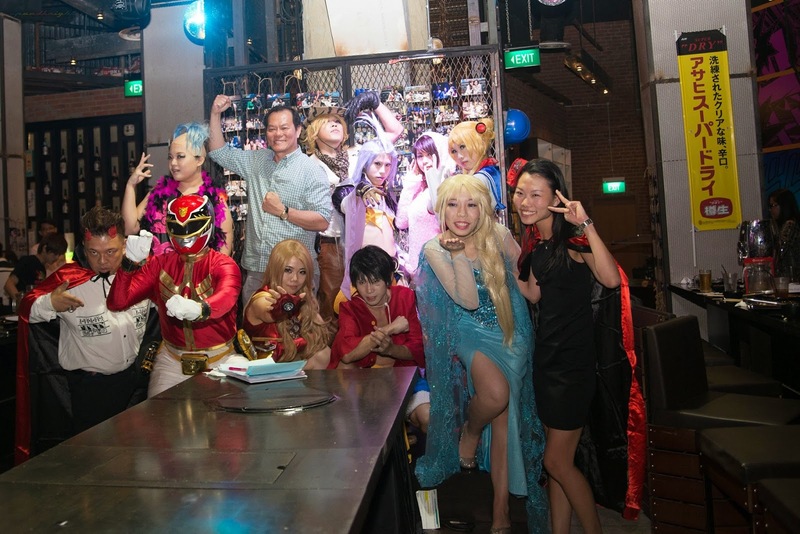 Launch of the Singapore Cosplay Club show in Asia Presented by Rocku! On the 5th of march invited Singapore Cosplay Club invited 10 cosplayers to hosted a unique and totally new cosplay variety show to share their talents and experiences with the audience. The cosplayer play games along with the guests,perfomed dances,sang and presented a mini-skit about challanges of cosplayer commuting and attending an event. The event was hosted at ROCKU Yakiniku. Another 20 cosplayers was invited to have a free meal at the venue.Guests was able to enjoy a all you can eat buffet with wide variety of meat,seafood and sides watching the show. This also marks the launch of a monthly Cosplay theme night at Rocku which will be on every first sunday of the month.